He is one of the first two Iserman Kooikerhondjes. 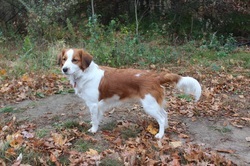 He is a great snuggler and loves to have fun; a very easy-going dog! 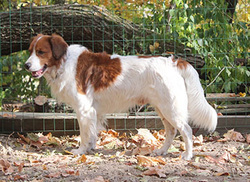 Friso is definitely one of the sweetest boy Kooikerhondjes you will ever meet! To see more pictures of Friso, just click on his picture! She is the matriarch and top dog at Iserman Hoeve Kennel! She doesn't miss a thing, but Evie can also be quite the cuddle giver and she is a natural mother. She is also a great watch dog! To see more pictures of Evie, just click on her picture! 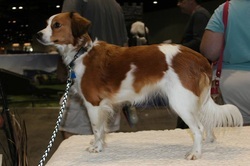 ​She is a lovely and beautiful Kooikerhondje! She loves to cuddle and is best friends with Friso who protects her! To see more pictures of Wicky, just click on her picture! ​He is a young and playful boy! He loves teasing his girlfriend Wicky and playing with Xena! He is also a very affectionate dog and loves all the attention he can get! 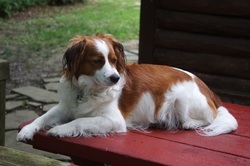 To see more pictures of Max, just click on his picture! ​She is our youngest girl and has a personality much like that of her mother, Evie! We call her our little warrior princess. She loves playing with Max and showing him who is top dog! She is also a great watch dog like her mother! 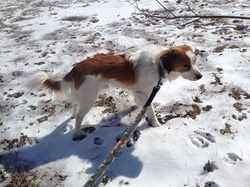 To see more pictures of Xena, just click on her picture!